After his big break in Hollywood as Tarzan, and five jungle adventures later, Lex Barker puts away his loincloth to play other roles. The new Universal International studio casts him in Westerns and other genre movies. During a brief detour to Columbia-Pictures, he participates in an adventure of the Southern States. Warren Stevens, who was born in the same year as Lex, in 1919, is part of the venture. There are many parallels in the lives of the two actors and friends: Stevens also fought in the European theater of war to liberate Germany from Nazi oppression, and his first acting steps were taken in a provincial summer theatre. 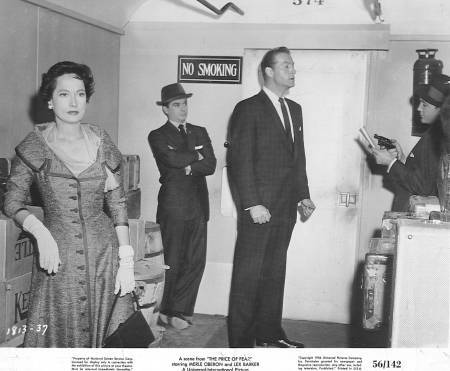 Warren's friends Gregory Peck and Kenneth Tobey introduce the ambitious actor to New York's theatre scene. 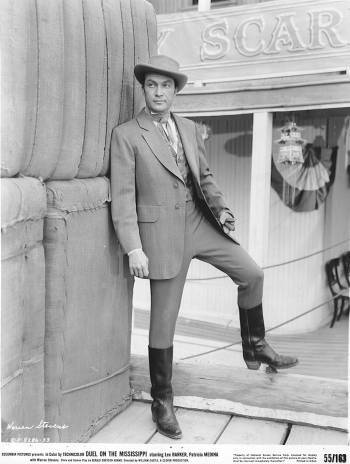 After the war, Warren Stevens joins the Actor's Studio. His role in the Broadway production Detective Story attracts the attention of Hollywood and lands him a contract with the 20th Century-Fox studios. From then on, Warren Stevens becomes very busy with movies and the still-young medium of television. 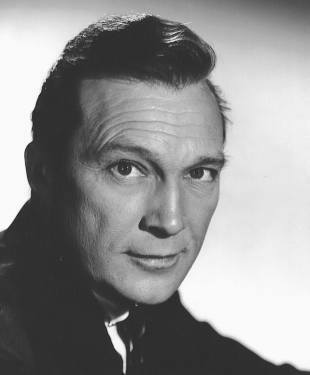 The talented actor has good, solid appearances in films such as The Barefoot Contessa, alongside Ava Gardner and Humphrey Bogart; with Bette Davis in Phone Call From A Stranger (1952) and the thriller Black Tuesday (1954) both with Edward G. Robinson; the three movies with Lex Barker, as well as the science-fiction classic Forbidden Planet (1955). Guest roles in a great number of classic TV series such as Bonanza, Mission Impossible, or Star Trek, are noteworthy as well. During recent years, Warren Stevens' work in front of the cameras has increased with his latest engagement in the excellent comedy Carts. The following interview was conducted in 2008 and is published here for the first time. Warren, I read that you were born in Pennsylvania, is that correct? Yes. A long time ago. I did a school play. Then summer stock in Virginia. Is that where you met Gregory Peck? Yes, in 1940 at the Barter Theatre. I did a Shakespeare play with him, called Edmund III. I played his son. But we did several plays together in that year. We both were also at the same school in New York City at the Neighborhood Playhouse. I neither did plays on Broadway with him, nor have I made any films with him. At first, then I was in the Air Force as a pilot during the war. Where were you stationed during the war? In Europe, in England. I fought against the Germans. How did you get started in your acting career? You had to go looking [for jobs in the industry]. Finally, I got radio jobs, then theatre jobs. Then I joined the Actor's Studio in New York. I did five plays on Broadway. I played the young man, Ralph Bellamy played the lead. Lee Tramp was in it, also Maurice Stapelton, Michael Strong and Joseph Weisman. There is no special story. I did so many plays and also television in New York. So people from Hollywood started to get interested. I did work for him on Columbia Broadcasting. I can't remember the name of the show, but he directed something. Only a bit part, one day's work. I came out to Los Angeles on a seven-year contract to 20th Century-Fox. That's right. One of those war movies. I played a Marine. We were very close friends. I'm sorry that he died. Richard and I had never lost touch. After his movie career he moved back to Connecticut. During the past years we spoke on the telephone. Now I lost a real friend! These were all 20th Century-Fox movies. We went on location to Montana, and then completed the movie back in Los Angeles. Some of the scences were dangerous to film. Dangerous! I received a cut to my leg. What do you remember about Phone Call from a Stranger with Bette Davis? My part was very good. I played Bette Davis' brother. It was marvellous to work with her. We got along very well. I have very fine memories about Bogart and loved working with him. He was a big star in those times. Later on we became friends. How was Bogart in real life? Marvellous. I liked him very much. We got along very well. Later on in Italy during the making of The Barefoot Contessa we again worked well together. Yes. We worked twelve weeks in Italy. I have very fine memories of working with Miss Gardner, Bogart, and Edmond O'Brien. We all became good friends. I always liked Italy. 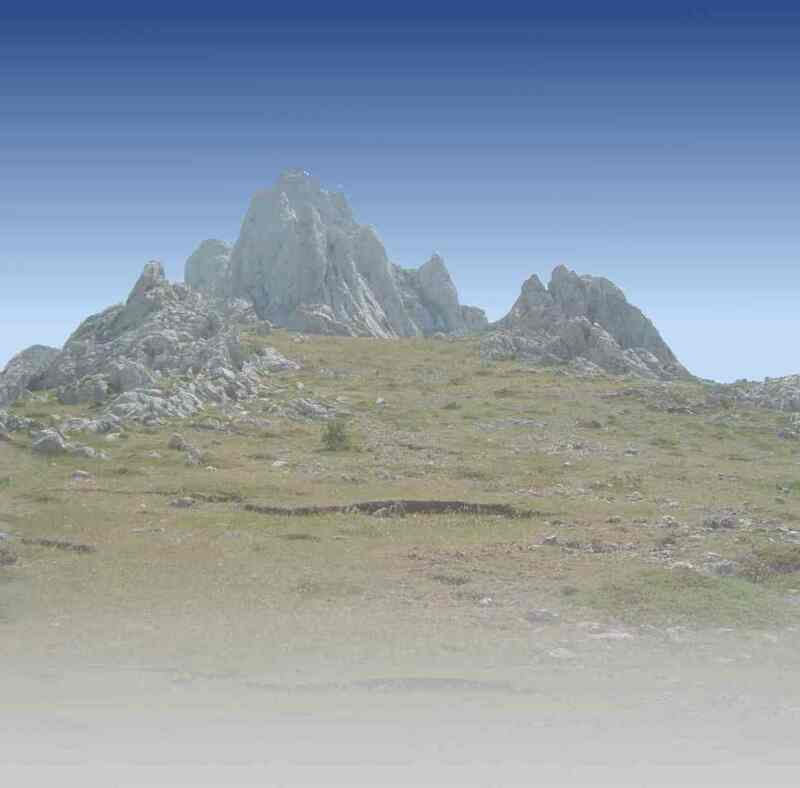 We were there in the middle of winter. A little rough, but otherwise it was fine. I went there several times after that. I always liked it. How would you describe the diva Ava Gardner? She was marvellous. On set and off. She was one of the most beautiful actresses of the time! Did you visit Germany again after the war? No. But I get mail from Germany, by the way. From all over the world. Looking back — what was it like to work in Hollywood during the 1950s? It was the fifties, and television had arrived. The studio system from the 30s and 40s was disappearing; it was on it's way out. It wasn't the same anymore. So it wasn't easy to get movie parts? I did quite a few movies. I left Fox in 1952 and then I was freelancing in every sense. I played the Detektive. Peter Whitney was posing as the gorilla, but there was another man inside [the costume]. Anne Bancroft and I were very good friends. It was also one of the first movies with Lee Marvin. It was a good movie. Yes, it's a Film Noir. You played diverse characters in the movies. Bad guys and good guys. What was easier to play? Well, the bad guy roles are always the best parts. I found that, when I had to play a bad guy, I always tried to find something good in it. The hero parts are much easier. Lex and I were also good friends in Hollywood. We both were born in 1919. We knew each other outside of the film business. I know Lana Turner, one of his wives, but I never met Arlene Dahl. I never saw Lana on a film set when Lex and I were working. That was my first Western movie. A nice memory. It's always fun to work in Westerns. But I very much enjoyed doing Westerns. I liked horses. My riding came naturally. I had no special training. And in the movies I never had any problems with it. In The Man From Bitter Ridge, Mara Corday was a very pretty young girl. I worked several times with John Dehner, a marvellous actor. And last, but not least, there was director Jack Arnold, who later made well-known horror movies. I think The Man From Bitter Ridge was an exceptionally good Western. Patricia Medina was one of the great beauties, I think. She and I had some fight scenes with Lex. I was a good fighter, but he wasn't. I don't know why I was good at it. I had no special training. I was at the Naval Academy at Minneapolis, at a special military academy. And I was on the fencing team there, but [the movie people] didn't know that. It was just as well that we had doubles during filming because Lex could never remember the choreography. Those scenes had to be worked out especially so that we wouldn't get hurt. He couldn't memorize them. Good thing we had doubles. That's the only one I can think of. Oh, there was also a television thing where I played John Paul Jones. I had a very good fencing instructor there who helped out a lot. I forgot his name, but he also trained Douglas Fairbanks. This gentleman was very good. What were your favorite sports at that time? Not tennis, because I had injured my arm in the war. I couldn't play tennis. I played golf, and I still play golf. Yeah, it was alright! We went to Albuquerque and White Sands and also the mountains in New Mexico. There were a lot of locations for these movies, also in Florida. I don't remember much about Guy Madison. I only met him that one time on a street in Rome during the 1960s. I think he was looking for work. I had worked in Spain and returned to Rome. But I didn't see Lex in that city. Does it surprise you that Forbidden Planet (1955) is now a cult movie? Yes. It turned out to be surprise. I get much more mail from that movie, than I do for anything else. When we made it, we didn't think it would turn out so big. All of the movie was filmed at MGM studios in Hollywood. I worked with very fine people: Walter Pidgeon, Anne Francis, Leslie Nielsen — all good friends. I had a lot of fun with that. We had a permanent set in the desert, called Vasquez Rocks Natural Area Park. The rest was filmed at Columbia Ranch in Burbank. For that television series we had to work much faster. Two episodes were filmed in one week. I think also it was a cheaper production than cinema. Not cheap in the sense of quality, but cheap in the costs. We had a lot more going on between the actors. There weren't too many special effects in that series. Sometimes it wasn't easy to ride into that landscape. You know, those things are planned very well. She was lovely. Marvellous to work with. I had worked with Charles Drake and Philip Pine prior to that movie. I played another bad guy. Director Abner Biberman was a former actor. He did a lot of acting in New York on the stage and also in early movies. What memories do you have about your part in the television Western series Bonanza? I got along very well with them. I did several Bonanza episodes. They were like a big family. I knew Lorne Greene very well. I met him on the set of one of his first US American television shows, Climax. We also knew each other off screen. We were friends. He was the same character in real life as in the series. My Bonanza episodes were filmed around Los Angeles. And they had the big soundstage in the studio. Riding a horse was no problem in the studio. Yes, I played Shirley MacLaine's lover. I saw her quite often. Anthony Quinn was a great fellow. We had the same agent. He and I had known each other quite a while before and also [kept working together] afterwards. The movie had a good script. I don't think it did very well at the box-office, but that's nothing to do be ashamed of. Jack Cardiff was the cinematographer in The Barefoot Contessa. Intent to Kill was his first movie as a director. He invited me to England for that film. I always admired Herbert Lom, who co-starred, he is a fine actor. I remember him very well. I think it was a good movie. Why didn't you do more filming in Europe during the 1960s? Well, I didn't have to do that. I had work here. I was working constantly; in television also. I had no problems with that. Money was good, parts were good. Oh, yes. I knew Efrem Zimbalist jr. from New York. He, Lex and I were good friends outside of the movies. Efrem now lives out of town, but recently I saw his daughter Stephanie. We exchanged greetings. I asked her to say "Hello" to her father from me. I hadn't seen him for several years. Do you remember the real '77 Sunset Strip' in Los Angeles? And was the series realistic? At the time it was formula [script]. All of those Warner Bros. series were formula series. I did them all! Some were successful, some were not. Maverick, Wagon Train, and others were screening alongside 77 Sunset Strip. A movie from Universal Pictures. It was great to work with Martin Landau. We worked together a lot, for example also in the series Mission:Impossible. During that time, Lex Barker and Clint Eastwood began their Western work in Europe. Do you know these movies, and what's your opinion about them? ... and you played in several of them, also together with Audie Murphy, the highly decorated former soldier. Did you speak with him about the war? No, we never did. Same with Lex Barker. I'm not sure if Audie Murphy was a good actor. He wasn't bad. He liked working with me. So we did some movies together. You starred in Madame X (1965) with Lex Barker's ex-wife Lana Turner. How do you remember Lana? I enjoyed the picture. A fine actress. She was quite good. We made that in Mexico. I met Ron Ely only on location. Filming in Mexico was sort of an adventure. We were there over Christmas; it was kind of wild. But it was okay. Lex Barker was a former Tarzan. Did you ever speak with him about those movies? I remember a one-night shoot. Inger Stevens and I did a scene, she played Widmark's wife. Inger was terribly ill at that time. Not easy to film. Don Siegel was a very good director. It turned out to be a very popular episode. I get a lot of mail from that to. Then Hollywood changed once more. After several years you made a comeback in recent years. How did that come about? No comeback; I never stopped working at all. I did several movies. Business is changing so rapidly. Yes, there were more parts written for people like me. What is your most favorite movie part? Well, the one thing I'm most proud of is the television series The Richard Boone Show (1963/64). It was a Repertory Company and I did sixteen episodes with different parts; different scripts, different stories every week. A lot of good work! The other thing is The Barefoot Contessa.